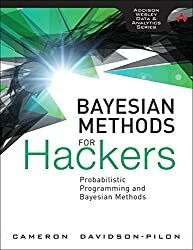 Cameron Davidson-Pilon is the author of the open-source book Bayesian Methods for Hackers, and the survival analysis library lifelines. Currently doing analytics at Shopify. Subscribe to our newsletter to get updates via email. Email will never be displayed or used for other purposes. Found an interesting article or good book related to software development?